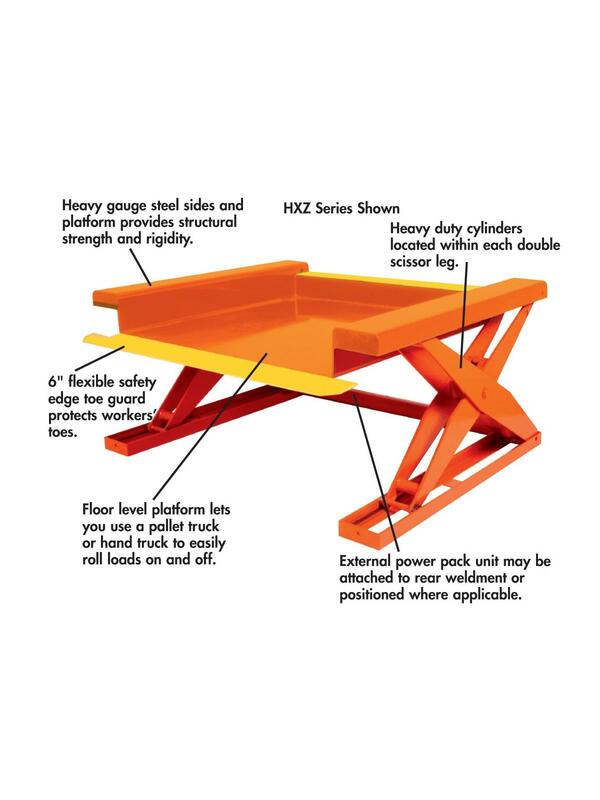 Allows you to use a pallet truck or a hand truck to roll a unit load on to the platform. Ideal for palletizing, depalletizing, loading and unloading conveyors and machines. Ship weight includes 50 lb. pallet. 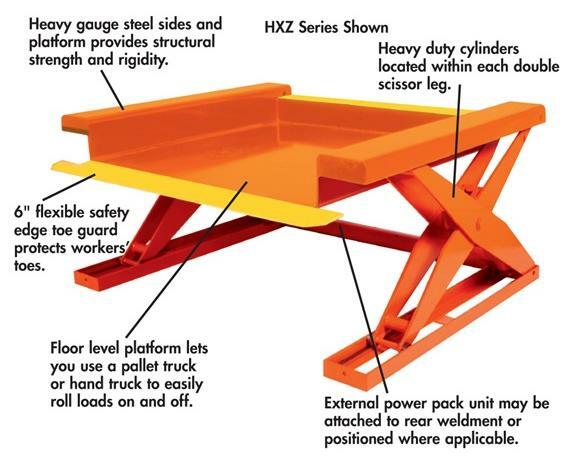 Eliminates the need for fork lift trucks, ramps or expensive pit mounting. 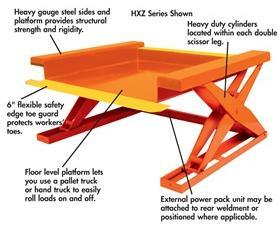 Adjusts to a comfortable work level for increased efficiency, productivity and worker safety. Safety edge/toe guard protects against toe injury. 1 HP motor, 115 Volt, 1 phase, 60 cycle is standard. Available with either a push button hand control with 8' coil cord or foot control with cover. FOB Shipping Point.